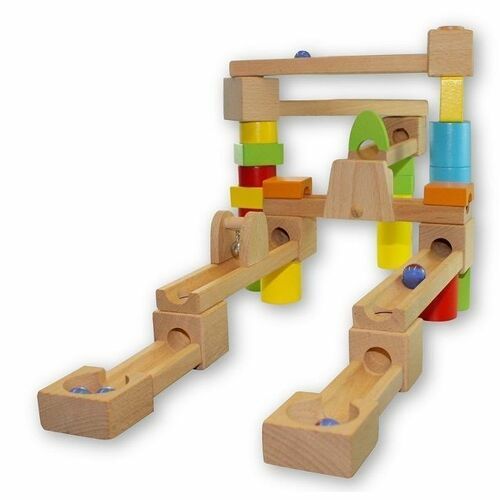 This Discoveroo Marble Run 40 piece set includes 10 x ramp components, 25 x blocks and accessories and 5 marbles. The ramps join together using a simple nesting mechanism so the marbles run down easily any track that you build. There are a lot of accessories including tunnels, a bell, a direction changer and an arrangement of different blocks to make amazing tracks. Made from Plantation Wood.